Who is Christ? The Son of God the Everlasting Father. He is fully Man and fully God! He is unique in His Being, His Glory, His Sacrifice, His Love, His Grace, His Power, His Eternal Presence! 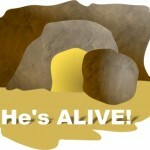 He died so that we could have eternal life! We know this is true because three days later, after He was crucified and buried, He rose from the grave and appeared to many witnesses! And we can look forward to rising from our own graves because He has promised it and shown He has the power to make it true! Christ not only died for us and our sins, he also set the perfect example of love: to lay down one’s life for their friends. Those that most consistently demonstrate that example are those who serve in the military, on police forces, on fire departments and on EMT crews. All of these folks deserve our deepest appreciation. Be sure that if you see one of these today who follow the example of Christ, that you thank them from your heart. Because they are laying down their lives for us each day.